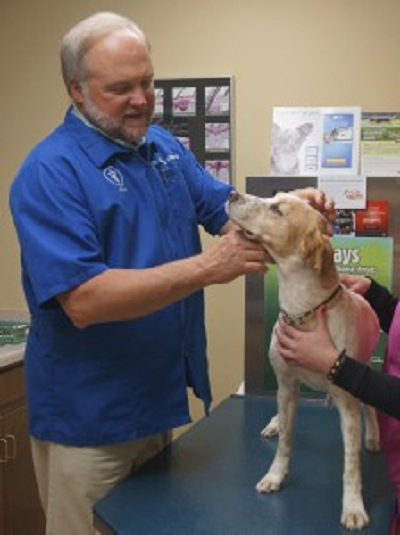 If you live in Madison, Decatur, Huntsville, or surrounding areas in north Alabama, then you have picked the perfect site to find Dr. Charles Whitworth, a licensed veterinarian, treating dogs and cats since 1981. Your pet’s health and well being are important to all of us at Whitworth Animal Clinic and we will take every step to give your pet the best possible care. Whitworth Animal Clinic is a full-service animal clinic complete with boarding facilities, grooming services, a comfortable waiting area, and surgical and exam rooms. Our clinic has a calm environment so you and your pet can relax while looking forward to meeting with Dr. Whitworth. Throughout this website, you will find a number of resources that can help you learn about how to take better care of your pets. Browse the website to look at our articles and pet videos. The best veterinary care for animals is ongoing nutrition and problem prevention. If you want to ask a question, call 256-830-1503. The primary purpose of this practice, clinically speaking, is to provide the highest quality medical and surgical care to our patients and to offer the best possible service to our clients. We endeavor to treat each pet brought to us with the same attitude we would have if the pet were our own. We want to serve clients who desire this type of service. As long as we seek excellence in providing service and accept nothing less, we feel we have accomplished our purpose. Dr. Whitworth and his staff pride themselves on being animal-focused, efficient, ethical, and innovative. Their goal is to improve the health of each animal they see. About Us: At Whitworth Animal Clinic, we treat your pets like the valued family members they are. We look forward to working with you and your pets. For more information or to schedule an appointment, call today.